Happy February! Remember when I showed you all my home office? 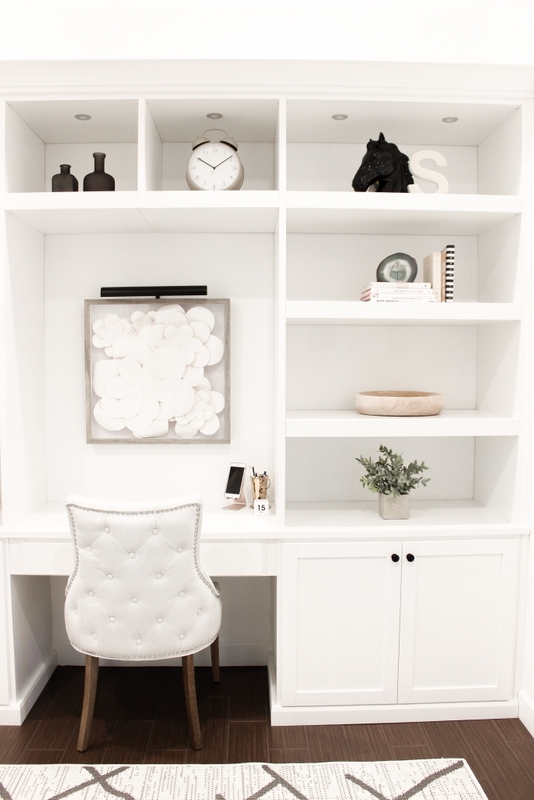 In this weeks organization post I’m sharing with you all how I organize my home office. Organizing my home office is something I’m still working on but I wanted to show you what I have done so far. I’m going to start it off by sharing one of my favorite drawers. This is my go to drawer when I’m working from home. 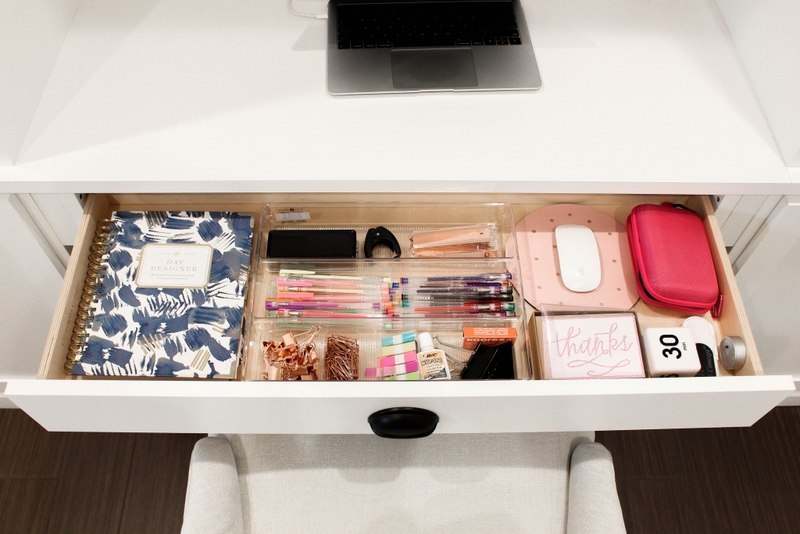 This is wear I store my planner, sticky tabs, thank you cards and various gel pens. Next to the various gel pens the time cube is one item I use all the time. This time cube really helps me stay on track with my daily tasks. When we had our office designed I knew I wanted a lot of storage to house various items. At the moment I have one drawer as a designated filing cabinet. 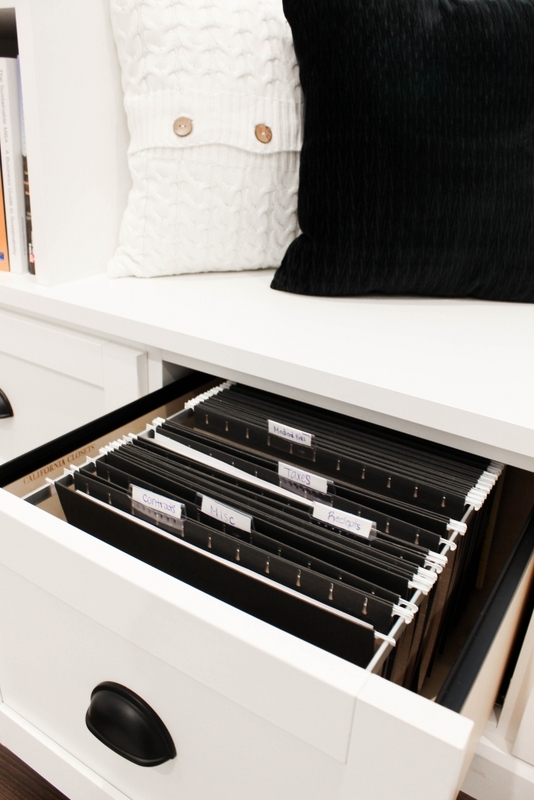 In this file cabinet I have my contracts, tax documents and other important documents. Having this filing system with labels really makes everything easier to file away. In the wicker covered bins I have extra computer paper and my craft bin. I need to get 2 more to store a few more things. 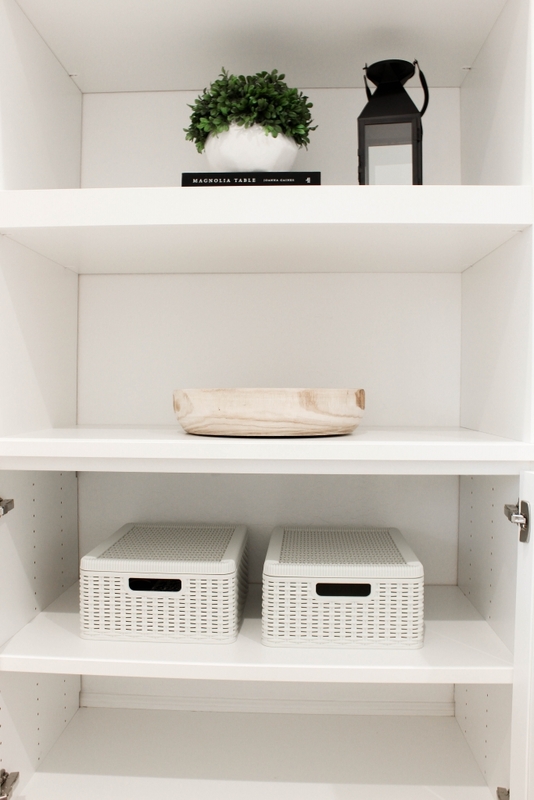 I like to make sure that similar items get stored in the same area. Doing this reminds where to put items back. 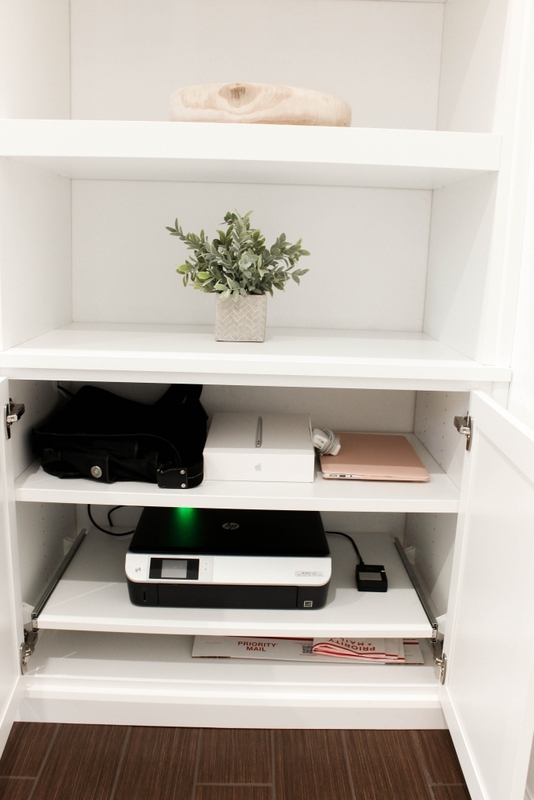 In this cabinet I store all of my camera, equipment and tech gear. 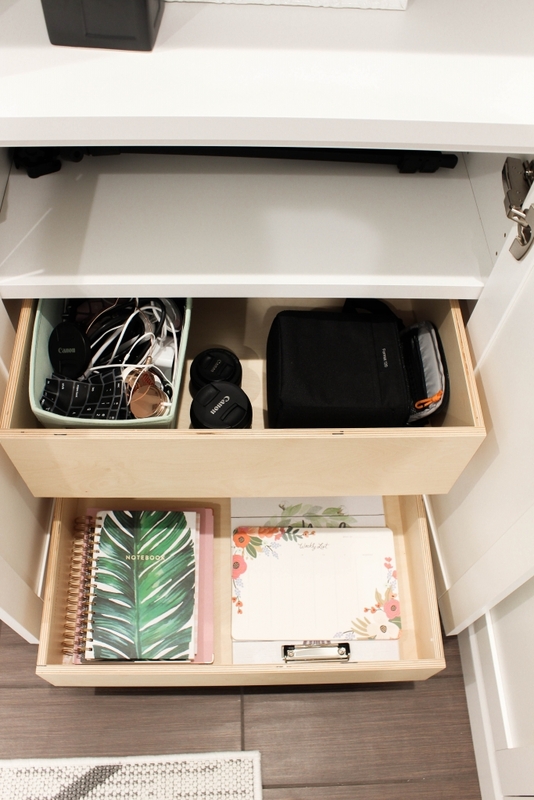 The bottom pull out drawer houses all of my extra notebooks and planners. I’m a sucker for a cute notebook. Anyone else? Lastly for today’s office organization post I have the cabinet to the right of my desk. I would like this to be the spot where I have a shred bin, a trash bin and to have a place to to keep mailing items. Do see where the printer is? That drawer actually slides out! So cool! Alright friends there you have it how I organize my home office. Thanks so much for stopping by! I hope you all have a great weekend! I am looking forward to Sunday!